Ketika melawat Prague, anda akan merasa seperti di rumah di Red & Blue Design Hotel Prague, yang menawarkan penginapan berkualiti dan perkhidmatan hebat. Hanya 1Km dari pusat bandar, lokasi strategik hotel memastikan tetamu boleh ke mana-mana sahaja dengan cepat dan mudah ke tempat-tempat tarikan. Dengan lokasi yang mudah, penginapan ini memberikan akses mudah ke tempat yang anda perlu lawati di bandar. Di Red & Blue Design Hotel Prague, segala usaha dilakukan untuk membuatkan tetamu berasa selesa. Oleh yang demikian, penginapan ini menyediakan perkhidmatan dan kemudahan yang terbaik. Fasiliti utama di penginapan juga termasuk Wi-Fi percuma semua bilik, meja depan 24 jam, fasiliti tetamu kurang upaya, simpanan bagasi, Wi-Fi di tempat awam. 52 bilik di sepanjang 5 tingkat menyediakan suasana nyaman dan menyenangkan. televisyen skrin rata, internet wayarles, internet wayarles (percuma), bilik larangan merokok, penyaman udara boleh didapati di beberapa bilik. Hotel ini menyediakan kemudahan rekreasi yang baik seperti taman untuk membuat penginapan anda benar-benar tidak dapat dilupakan. Red & Blue Design Hotel Prague merupakan pilihan yang bijak bagi pelancong ke Prague, menawarkan penginapan yang santai dan mudah setiap kali. Overall stay was great. 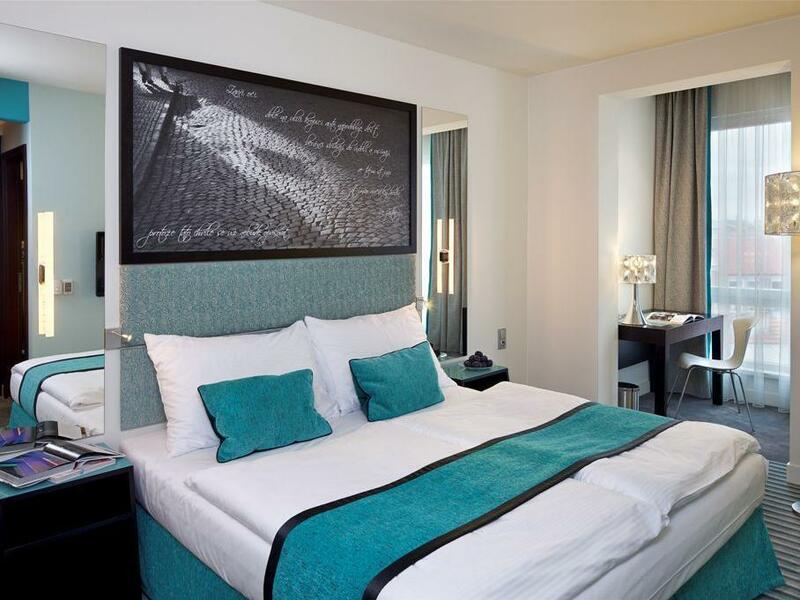 Hotel is near the city center and tourist spots and it's also near the tram and bus stops. Staff who checked us in (I forgot her name) was very friendly and helpful. She even recommended a great local restaurant (Meduzzy) which was affordable and the food was just awesome. Room was big and clean and quiet even though our room was facing the street & park. I'd definitely recommend this hotel and I will definitely stay here again. I would recommend the Hotel to everyone. 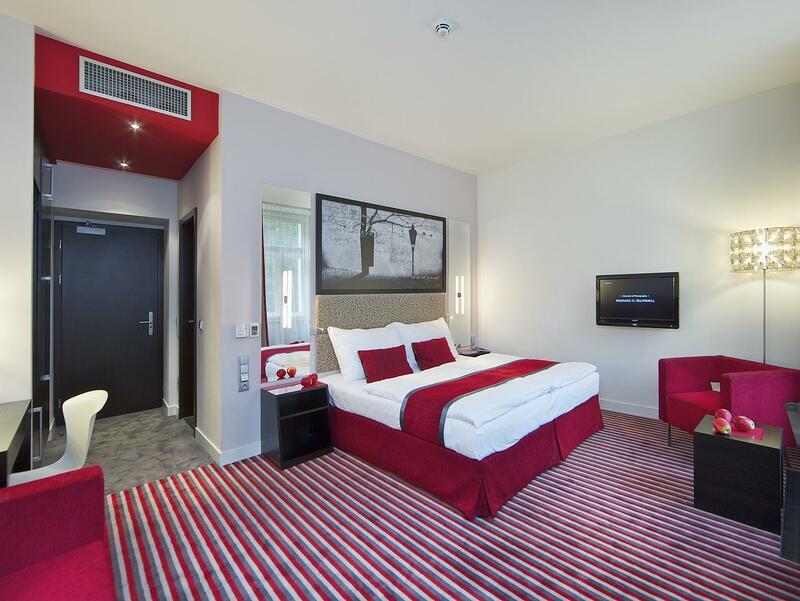 Very comfortable bed,very clean, perfect location next to the tramway and to the parc, nice hotel view (we had a room on the 6th floor), tasty and various breakfast. Location was fantastic. Quiet, peaceful, across from a large park, short and beautiful walk to all the attractions (Charles Bridge, Old Town), great restaurants very nearby. Staff was extremely helpful and friendly. Hotel was immaculately clean. Comfortable bed. Air conditioner worked very well, which was a must! I have absolutely no complaints. Terrific hotel - comfortable room, wonderful park view, lovely location. In my opinion you don't want to be in the hectic and over-touristy Old Town, and this hotel is only a 20 minutes or so walk from all the sites. Could not recommend enough! Nice hotel and amazing hotel staff. I would give full mark review if the AC was working. A lovely hotel, we had a beautiful large room, everything was spotless, lovely view over the rooftops and fabulous view of fireworks over the river! Staff were very pleasant and helpful. Excellent value for money - most comfortable beds of any hotel. Although a little out of the centre, the tram stop a few hundred yards away has 4 routes that will get you to the town centre in minutes and out to the stations that link with the airport buses. A 3 day tram ticket only costs around £10. An authentic Czech restaurant with amazing low prices nearby - knives and forks! i stayed at this hotel for two nights. Veryglad that i chose this hotel. Very near to historical places like royal gardens. Easy approach to high street in Prague 1 by foot. Spacious and cozy rooms, clean and luxurious toilets, great breakfast and the most important very helpful front desk staff to help you organize yur trip in prague. free parking is easy to find outside hotel. Hotel arking costs 15 euro a day. Would definitely recommend this hoteland will definitely stay here in my next visit. wifi is slow. Needs more bandwidth. The hotel was clean, the staff were all friendly and helpful. Overall it was very good, good value for money. The staff ensured a swift check in and gave us maps and tour advice for my trip. The breakfast was average. The rooms were spacious, air con worked perfectly, the bathroom design was nice. I would definitely stay here again and I recommend this hotel from my personal experience. Overall a good stay and this hotel got a number of pros and cons. Among positive points are: free parking in front of the hotel on Holeckova street, which is a rarity in Prague. Close to Petrin hill where you can walk or jog, near to 2 important bridges - you can walk to Karlovo namesti or Old Town quite easily. There is a bar that is open till late just next door. Reception staff spoke very good English and in general they were always friendly. Issues: wi-fi worked fine only on the bed, but not on the table (weak signal). Hot shower was weak. Laundry messed up our clothes: 3 of the white colour items came back grey. In addition, we got somebody else's underwear mixed in our stuff! We told the hotel that the laundry fee should probably be cancelled, because the damage they done is higher than the price of the service. What we got in the end was a ridiculous 10 EUR discount on the laundry bill! Like if you could buy new clothes, even one item for 10 EUR. Overall it was a good stay and only the laundry thing left negative memories. They allocated us room 101 which is for disable couples, although we were not and even did not make such request. The worst thing was an uncomfortable smell at the washroom which was surely annoyed. The breakfast was simple and not good enough. I could not rate it as a 4-star hotel according to my experience. Will not come back! Wonderful hotel - very convenient for business travellers - I am repeat guest for this hotel. Thats says it all. 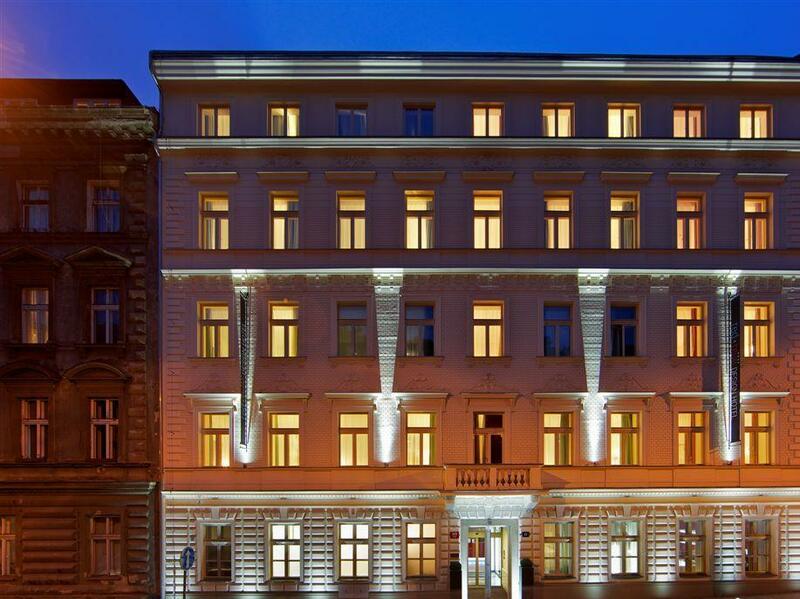 One of the best hotels in prague - Very clean and no hassle hotel. Great Value for money and very near to all the attractions. Very comfortable - good for business travellers. I am a repeat customer. hotel is located on a busy street - if you get a front room be ready for a sleepless night. My room greeted me with strong smell of chlorine, which gave way to smell of mold. I would expect much more from 4* property.